Not to exaggerate, but the Ensso Piuma fountain pens -when I first looked at them (you can read my original review HERE), kind of set a new standard for metal pens of its kind... Ok that may sound like a bit of an overstatement, but still it remains one of the most thought-out yet minimalist metal fountain pens available. The Ensso Piuma and Namisu Nova! Which one is your favourite? 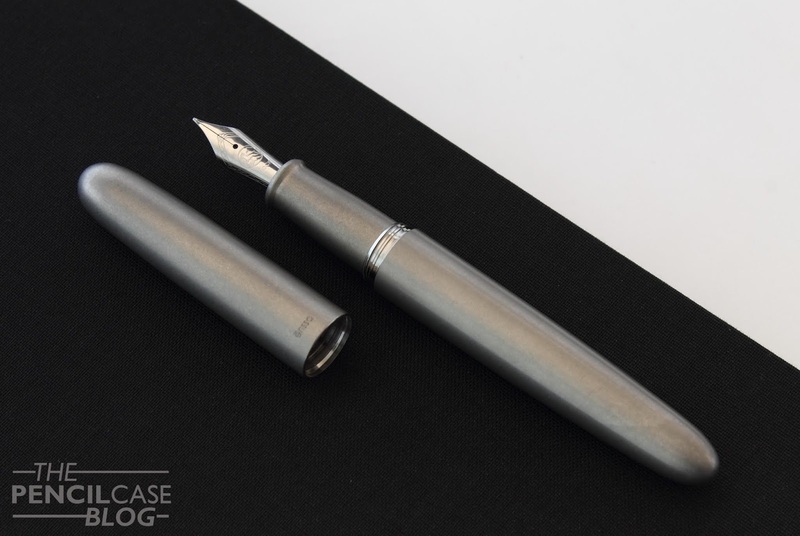 As much as I enjoy the Namisu Nova (You probably know by now that I have a thing for minimalist metal pens! ), it's a design piece first and foremost. In terms of functionality, it's not THE most comfortable pen ever. 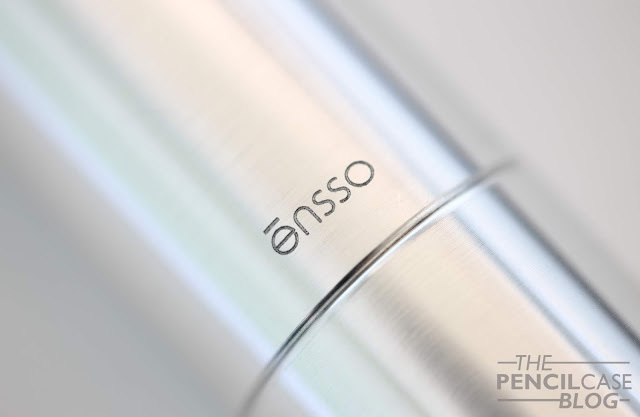 The Ensso Piuma improves on the Nova by creating a rather successful symbiosis of design and functionality. Let's quickly go over the design again because that's nothing new. These two new pens differ solely in their finishes from the original three material options (matte black Al, brass and polished Ti). The Piuma is a thoroughbred minimalist piece, without a doubt. It's not as uptight and 'strict' in appearance though. The rounded bullet shape gives it a more 'organic' (for lack of a better word) look that is easier on the eyes. The design... it just works! It might just be me, but I think it's very elegant; The metal counterpart to a Nakaya almost. The new finishes: raw aluminium and stonewashed titanium are both quite possibly my two new favourites between the -now- 5 available options. The raw Al is light and utilitarian. It comes scuffed out of the box (from machining), and picks up more blemishes with use. The stonewashed titanium has been my favourite ever since I saw photos of it on social media. Which was quite a while back during the original Kickstarter for the Piuma. Stonewashed Ti was a Kickstarter exclusive finish back then. Only recently did they reintroduce this finish to their standard lineup. I love how stonewashed titanium looks and feels rough, and it brings out the brown-grey tone of the metal. 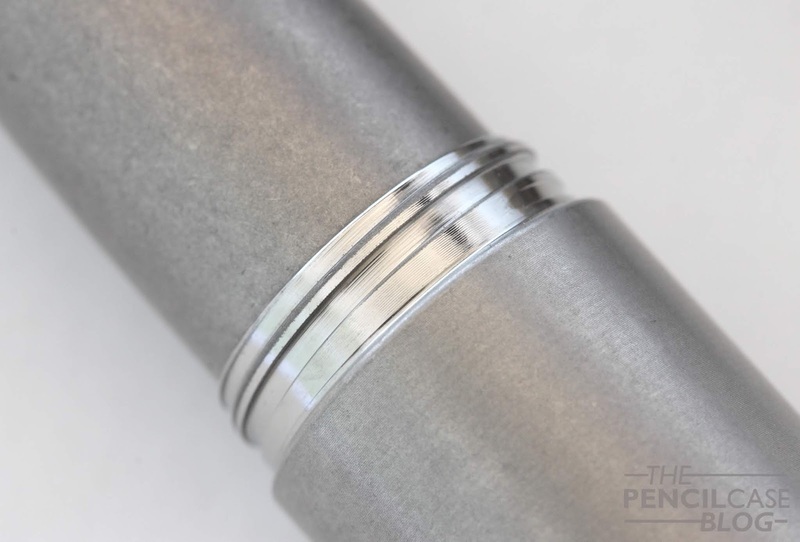 It's also a perfect finish to hide blemishes and scuffs, which titanium pens -no matter how strong this metal is- inevitably get with use. For detailed measurements and weights, I'll refer you to my original review (link HERE). The weights for the respective new Al and Ti finishes are identical to the original ones, which means they are both not too heavy. Where I think the Piuma really shines, is in the comfort department. Don't get me wrong, it's not the perfect pen. But for a metal pen, it's a solid step in the right direction. The pen has a good girth and length. And the gently tapered section is very comfortable to hold, at least as far as metal sections go. I have personally never found metal sections to be particularly more slippery or less comfortable than acrylic ones for example, but I can see where this opinion comes from. Especially on metal that has a smooth finish (such as the raw aluminium), you shouldn't expect the pinnacle of grippiness. With the simple but performant #6 Bock nibs, you can almost always bring a smile to my face. I know some will have a different view on Bock, but a world where everyone would agree with each other would be a boring one, right? 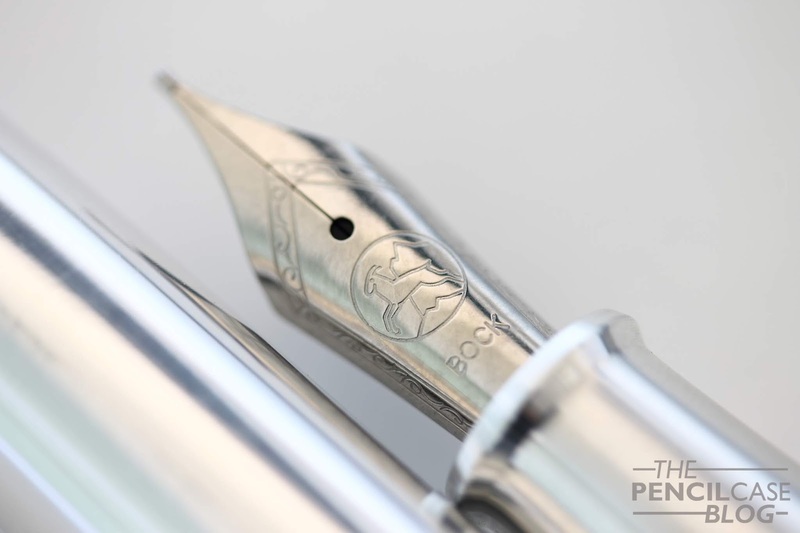 The way Bock nibs write (bouncy nibs with a bit of feedback and a balanced flow) resonates well with the characteristics that I look for in a good pen. 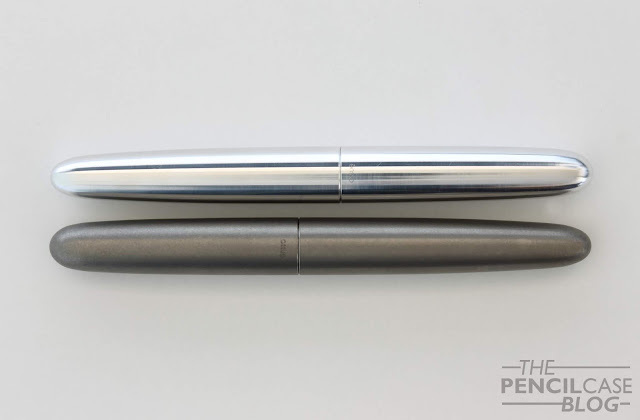 A year after my original review, the Piuma continues to be a solid pen. Made in the USA, with attention to detail... there really isn't much negative I can say about them. 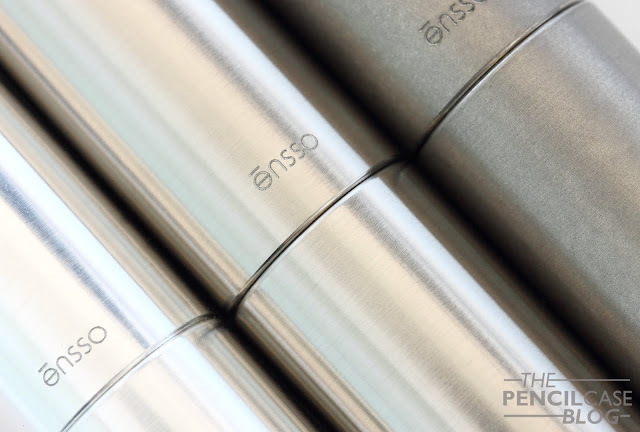 If you're somewhat into metal pens, the Ensso Piuma was, and continues to be, a pen that should be on your watch list. 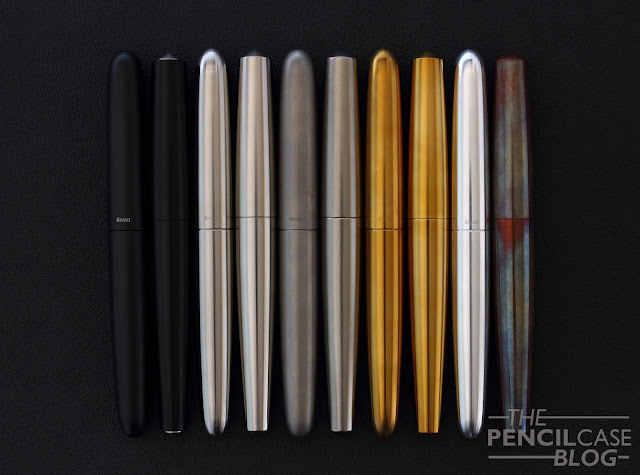 Compared to similar pens on the market, the price of the Ensso Piuma is more or less in line with the alternatives. The two new finishes follow the same pricing as before, so 79 USD for the raw Al and 139 USD for the stonewashed Ti. Ensso's most direct competitor that I can think of, Namisu, has their pens come in at a slightly lower price point. But the jump in comfort and functionality in a beautiful minimal package, makes up for the difference in my opinion. These products were sent to me by Ensso so I could write this review. I was in no way influenced in the making of this review, the opinions shared in this review are completely my own! This post does not contain affilate links.